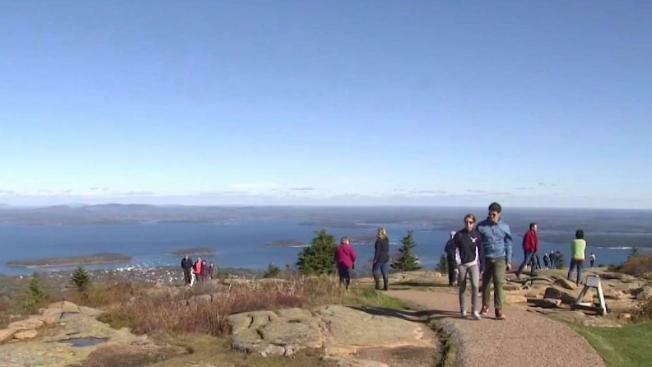 A road trip to Acadia National Park in Maine could soon cost more money. An entrance fee price hike could be coming to the most popular National Parks next year, including Acadia National Park in Maine. The Department of Interior has proposed a price increase at 17 national parks to help pay for maintenance projects, and the cost to bring a car into Acadia could go up from $25 to $70. "I think it's substantial," said Steve Fisher, who was visiting the park on Friday. "People will definitely take a second thought about coming in, at $70,' said his wife, Jill Fisher. The $70 fee would allow visitors to return for free for one week. Individual passes would increase from $12 to $30, and motorcycles entering the park would pay $50, up from $20. "The timing, and the dramatic nature, of this increase took us by surprise," said David MacDonald, president of Friends of Acadia, a Bar Harbor nonprofit. "A lot of people here in Maine don't necessarily have that discretionary income, so it might deter people." While Friends of Acadia supports incremental increases to park entrance fees to support the needed maintenance and park upkeep, MacDonald said he thinks $70 is too high. He said some local business owners are worried that the fee increase could backfire, and cause park attendance to decline. If attendance suffers, so do their small businesses, which rely on the tourist economy. "This is a huge part of a lot of people's livelihoods," MacDonald said. Some park visitors said they think the $70 entrance fee is worth it, especially if it can cover multiple days. "You can't get a better place than this," said Alex Dinunzio, visiting with his wife from Boston. His wife, Haley, said the fee increase was probably for a good reason — and they want to support the future of the parks. The National Park Service will take public comment on the fee proposal on its website until Nov. 23.